As you can see, letters and black parts are pretty nice, but the part around the "6" should be filled grey. This is printed with 1200dpi and still I can't manage to get a better quality of grey parts. Is this normal for cheap homer b/w laser printers? Is there anything I can do? Are there special b/w printers which can print also greay levels nice? Edit: It seems as if I overestimated the quality of grey parts printed by laser printers. Finally I printed the document with a professional laser printer. It is a bit better, but still you can see the dots. 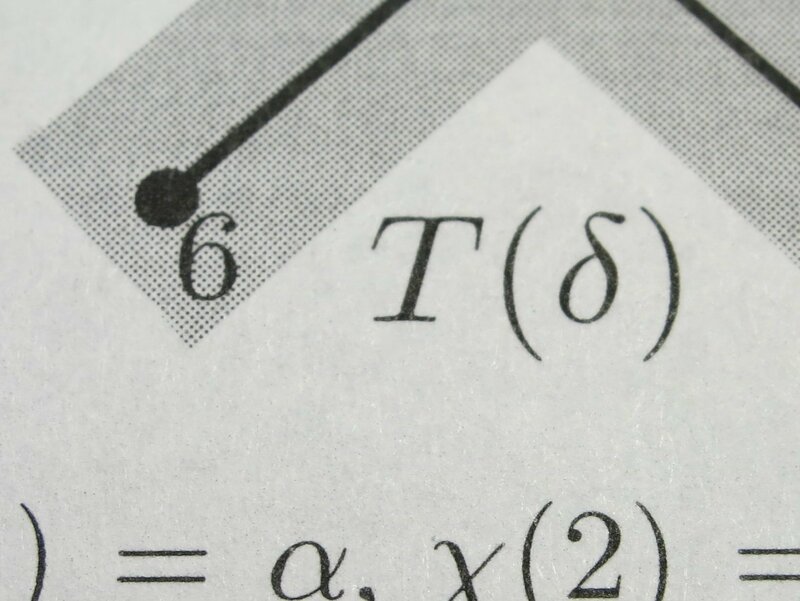 the part around the "6" should be filled grey. As you perhaps know, all "Black and White"/"monochrome" laser printers are exactly that, they cannot really print intermediate colours or shades such as grey. They simulate gray by printing small dots and varying the spacing and arrangement of those dots. This is called dithering or halftoning. From a distance our eyes cannot distinguish the dots and see gray. You can increase the quality of this illusion by tweaking the printer / driver settings but you cannot eliminate it completely. The ML-2850 supports Postscript, it's a long shot but try a Postscript driver (you can add a separate printer entry in addition to the existing one) - The default driver is probably PCL6 or SPL. Are there special b/w printers which can print also greay levels nice? Using a limited number of color inks, or specific color inks in addition to the primary colors, is referred to as "spot color" printing. Generally, spot-color inks are specific formulations that are designed to print alone, rather than to blend with other inks on the paper to produce various hues and shades. The range of available spot color inks, much like paint, is nearly unlimited, and much more varied than the colors that can be produced by four-color-process printing. Spot-color inks range from subtle pastels to intense fluorescents to reflective metallics. Try to set your printer quality. 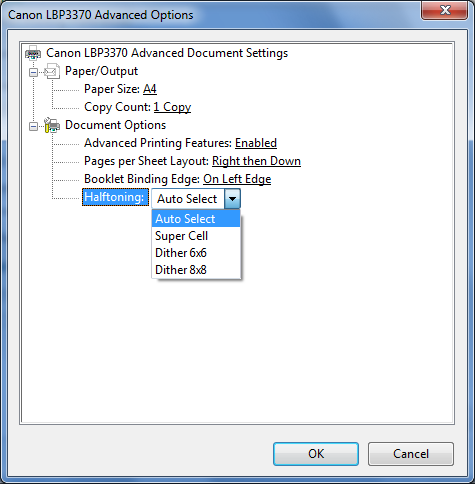 Some printers allow you to set the quality to "Draft", "Best", or something along those lines. Also, check the "Halftoning" option in "Advanced options" (if you have something like that). Yes, for consumer use (not as offset which is not for normal consumer printing), but that would be inkjet, not laser printers. Monochrome inkjet printers like Epson M series (M105/200, etc. ), Epson K series (K100/200) are some examples. Monochrome laser printers usually have difficulties with printing solid block of color, being black or grey shades. Same problem here when I print scans with my laser printer if I scan images to color or gray scale. There are lots of dots instead of solid lines or shapes, text/letters literally consist of a few dots. What I found is first I need to convert scanned images to black and white or scan them in B&W mode and only then send them to the printer. Conversion to B&W is possible in MS Paint, Channel Mixer (Photoshop) use a B&W converson insert or Lightroom. I just googled it to find out how it's done. Not the answer you're looking for? Browse other questions tagged printer laser-printer grayscale or ask your own question. What causes the laser printer to print all pages with a washed out background? A printer is not removable and new cannot be installed, how to reset the “Devices and Printers” area?